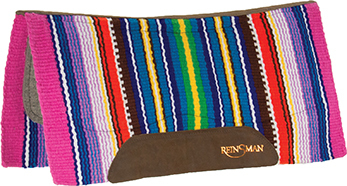 Contoured two-toned orthopedic grade felt saddle pad with Poron XRD and memory foam build-up. 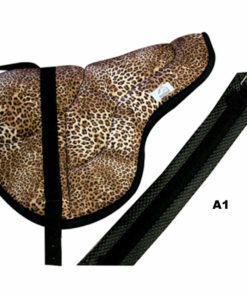 It is specifically designed to relieve shoulder strain and pressure. 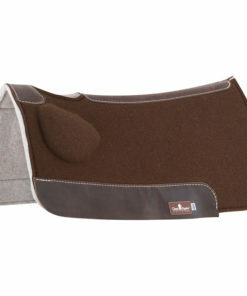 This saddle pad helps with hard to fit conformation, high withers, narrow shoulders or asymmetrical muscle development. 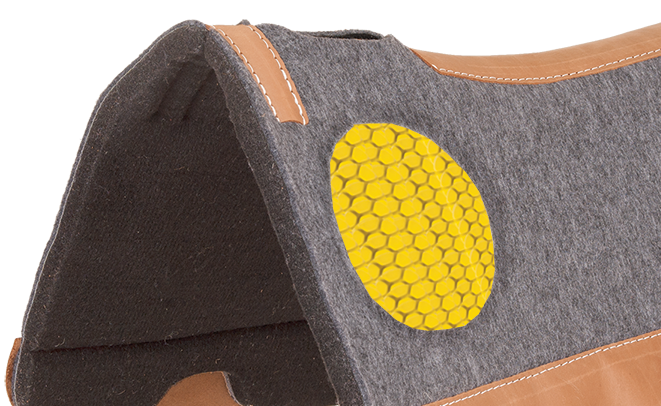 Poron XRD is encased in high quality, memory foam material located behind the scapula. 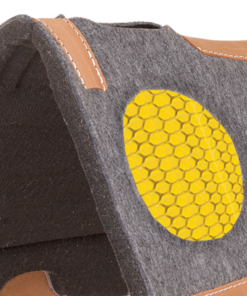 It isolates and provides a protective shield that absorbs up to 90% of force. 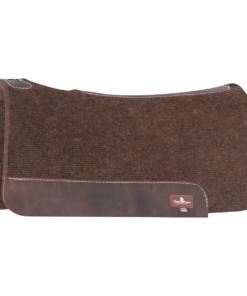 Poron XRD molecules will not breakdown over time and offer the same protection ride after ride. 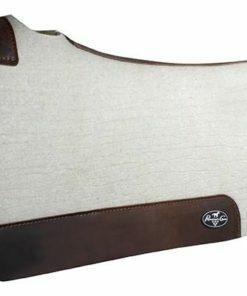 The uniquely designed build-up evenly aligns horse, pad and saddle for a Perfect Fit.